Jack Mitchell has partnered with a world class training organization - New Haven Consulting Group, Inc. (NHCG, Inc.) to provide expert facilitation of Hug Your Customers: The Workshop. Now more than ever, brand experience and loyalty is defined by Customer Service. Customers are thirsting for relationship driven companies – those companies that realize customers, not product, are the most important priority. This business philosophy, based on Jack Mitchell’s best-selling book, Hug Your Customers, is foundational to impressing and highly satisfying each customer. The HYC workshop shows how any business can adapt this “hugging” philosophy to attract and retain customers, lower marketing costs, and maintain higher gross margins and long-term revenues. HYC is designed to build and/or enhance the customer-centric culture, and as such, will be beneficial for all associates, managers and supervisors. What Are the Outcomes of HYC? HYC is more than just a workshop. It is a process from beginning to end to ensure the “hugging” philosophy is truly embedded in the organization. 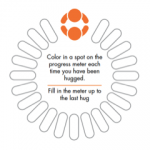 The HYC process starts with the Hug App – designed to inform, engage, and inspire attendees prior to the workshop. Participants are introduced to key program concepts through personalized video vignettes. Participants then choose “challenge” situations to develop unique hugging approaches to exceed customer expectations. 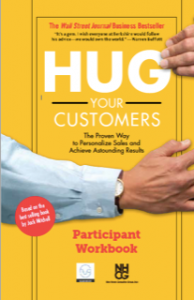 As part of the workshop Prework, specific chapters from Jack Mitchell's book, "Hug Your Customers" are identified for use as discussion points and activities during the workshop. After the workshop, the Hug App is used once again to “push” re-enforcement content to participants in the form of the “Hug of the WeeK” – real life Hugging situations that highlight the effective use of the Hugging philosophy. Over a 6-month period, graduates receive content reminders, case studies, and other relevant content to ensure they are on-board with the Hugging Philosophy. Should the client desire, additional time can be spent on using the Hug App to continue re-enforcement of the Hugging Philosophy. Hug Your Customers: The Workshop is a truly unique and effective experience for any organization that wants to go beyond satisfying the customer to creating an exceptional customer experience! To learn more about NHCG, Inc., please visit www.nhcg.com.